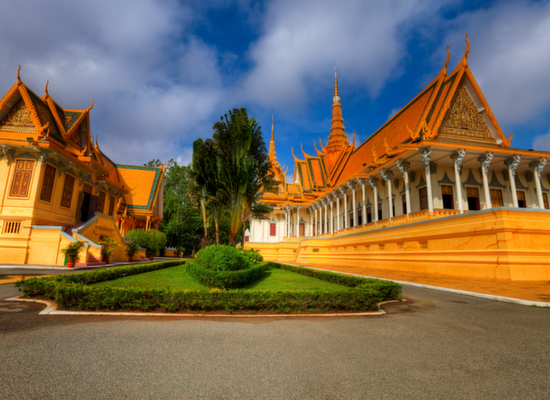 This tour takes in Cambodia’s cultural highlights including the bustling capital of Phnom Penh and the majestic temples of Angkor before heading to the coast to chill out. 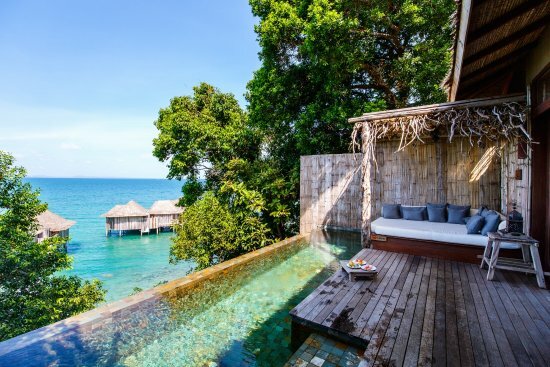 You will spend a few days relaxing on one of South-East Asia’s most beautiful and lesser-known islands before returning to the mainland to stay at one of our favourite boutique hotels on the coast. This is a nice relaxing tour – you have three nights in most places, not too many temples are squeezed into your time in Siem Reap – and we have planned nothing but relaxation for the last five days. Welcome to Phnom Penh, the capital of Cambodia. 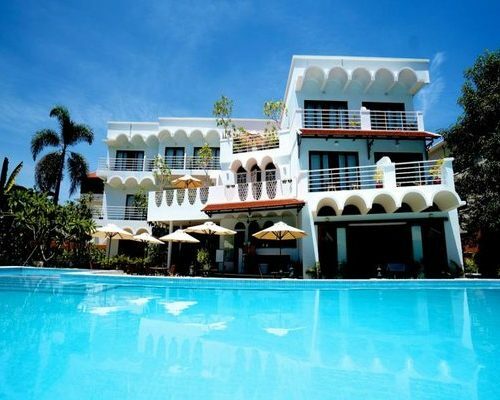 Your private driver will meet you at the airport and take you to your hotel, iRoHa Garden Hotel, a lovely boutique option with a swimming pool. 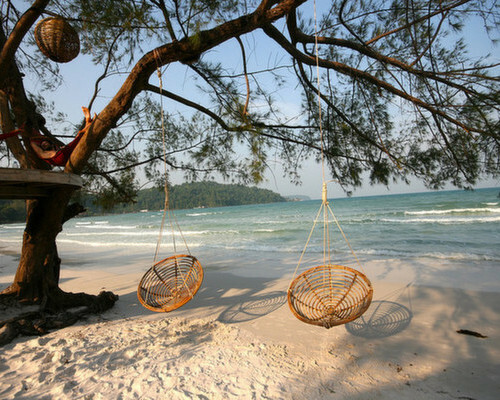 Spend the evening at your leisure. We recommend visiting Phnom Penh’s charming riverside which is buzzing with activity and has many good restaurants. (Breakfast included). 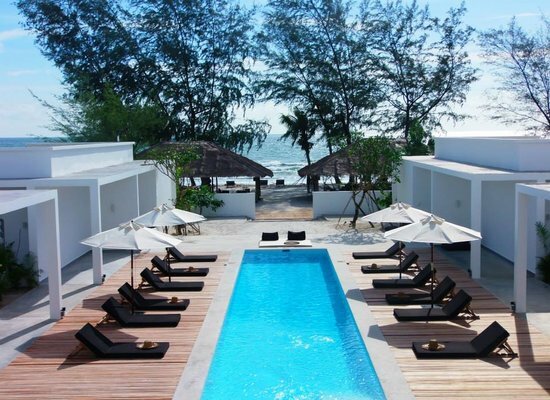 Today you will be introduced to the local cuisine with a half-day Khmer cookery course. It will begin with a tour around the local market where you will choose the local ingredients before making two or three dishes from scratch which you will enjoy after for lunch on a rooftop terrace. 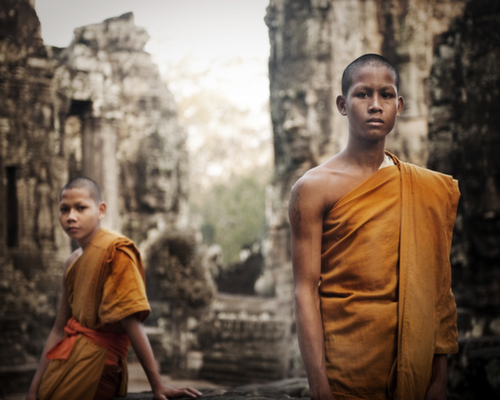 This afternoon take a more sombre but enlightening tour of Tuol Sleng Prison and the Killing Fields, to glimpse the devastating horrors that prevailed during the reign of the Khmer Rouge. This morning you have the opportunity to rise early to see sunrise over the largest temple in the whole complex; Angkor Wat. 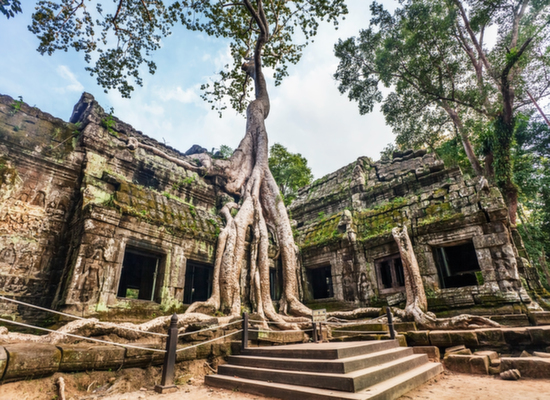 After a leisurely breakfast at the hotel, you will visit the temple of Ta Prohm, which boasts atmospheric dark towers and courtyards, and is best known at the Tomb Raider film set. 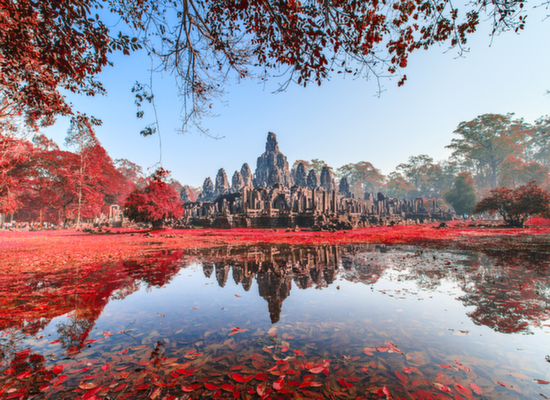 Finish your day tour with the sunset at Pre Rup Temple, The beautiful rusty-red bricks are accentuated during sunset and stands in brilliant contrast to the lush green of the jungle in the distance. 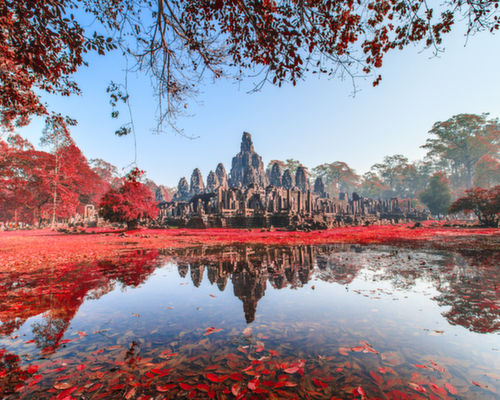 Take a second day to explore more temples, including Bayon, which has more than 200 carved faces, and Bantrey Srei, which for many years was off limits due to its remote location and Khmer Rouge activity. There will also be time to visit the Cambodian Landmine Museum before a delicious lunch at Viroth’s. 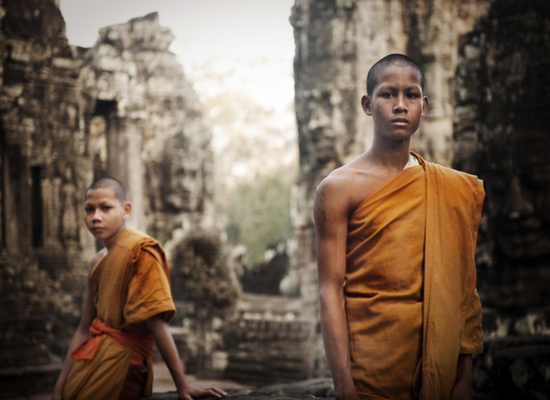 Finish the day by visiting Artisans D’Angkor, a handicraft centre, which train locals in traditional techniques such as silk weaving, and stone and wood carving. This morning enjoy a private excursion to Mechrey Village on Tonle Sap Lake (about one hour’s drive), stopping at the traditional village of Ampil Peam. You can explore the lake’s floating village and flooded forests on a local boat – it is a fascinating lake that has been declared a Unesco listed biosphere. 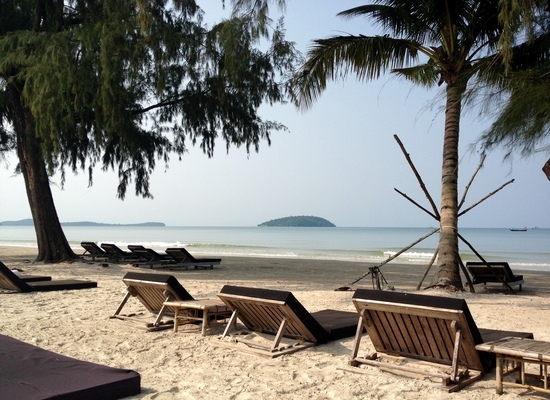 Later, fly to Cambodia’s coastal town of Sihanoukville and check into the lovely boutique Tamu Hotel on the quieter Otres 2 Beach (superior room). 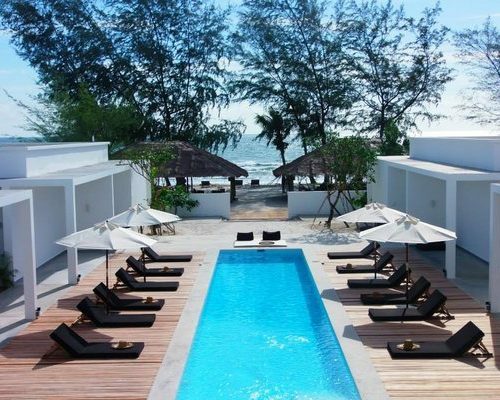 We’ve planned nothing for you today so you can relax at leisure at the lovely Tamu Hotel, which is just a stone throw from the very relaxed Otres Beach. 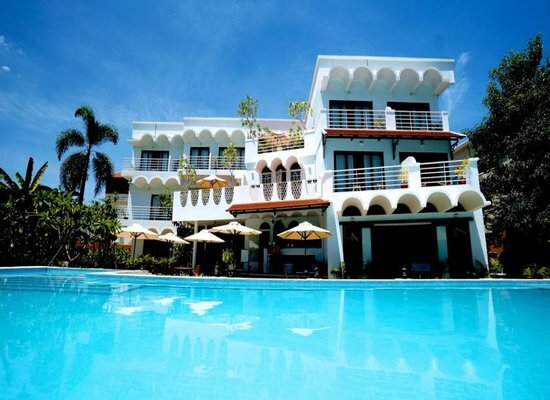 The small hotel has a lovely swimming pool and the sea is calm and perfect for swimming. At night there are quite a few relaxed lantern-lit restaurants down the beach that you can choose from. Day 10	- Return to the mainland coast. 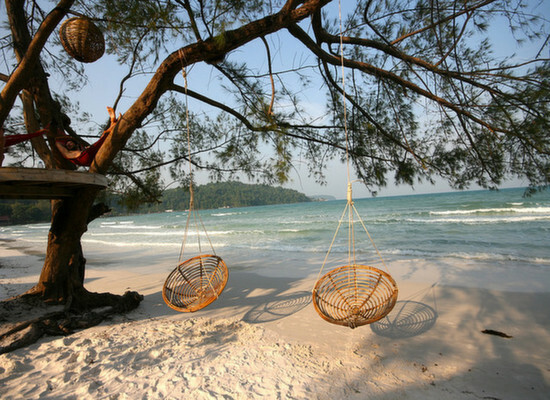 Today you will leave the paradise of Koh Rong Samloem and head back to the mainland. 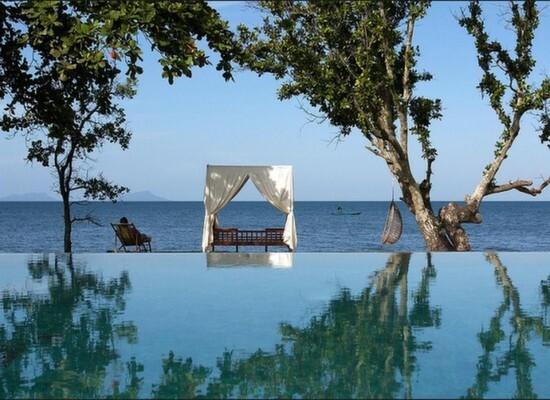 Your private chauffeur will meet you off the boat and drive you two hours to the coastal town of Kep, which is often referred to as the French Riviera of Cambodia. 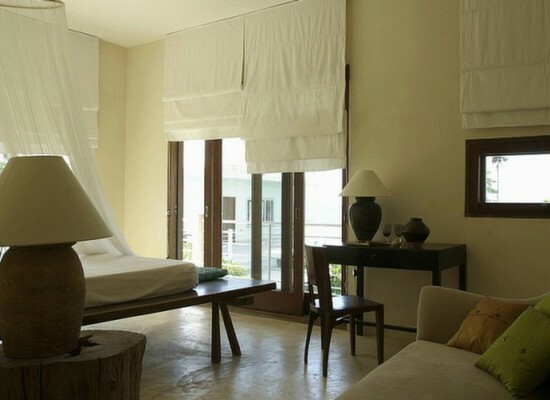 Here, you can relax at one of our favourite hotels, Knai Bang Chatt, a selection of beautiful converted villas from the 1960s. 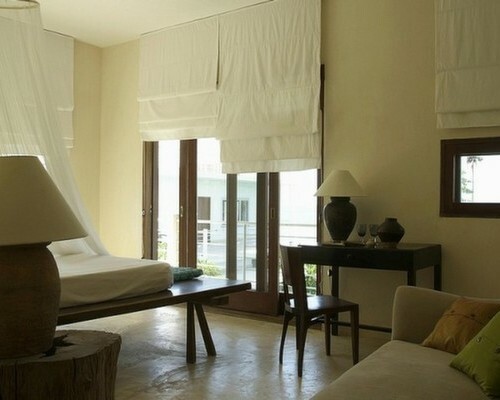 (Garden view room). 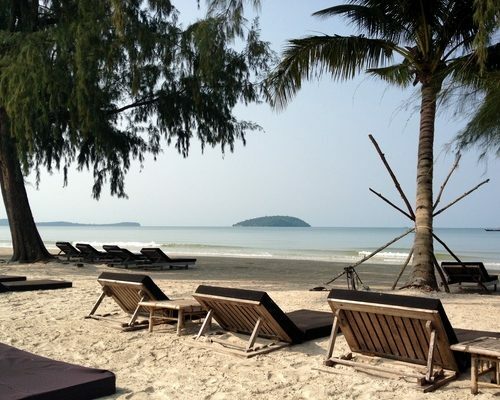 Spend three full days relaxing in the beautiful and serene surroundings of Knai Bang Chatt, which is Cambodia’s best sunset spot. 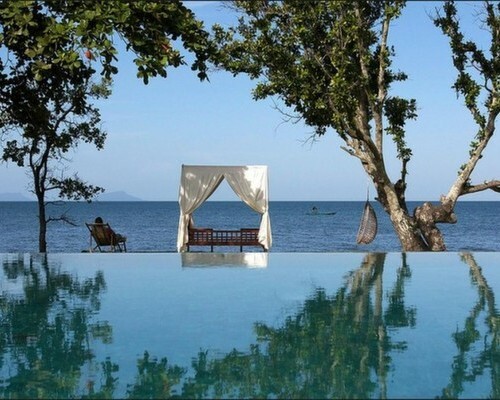 Local excursions can be organised into Kep National Park and Kampot town, or you may prefer to indulge in the hotel’s spa treatments and private yoga and meditation sessions. Bliss. This morning you will be picked up and driven to Phnom Penh in a private vehicle, which takes about four hours. Along the way you will have a short stop at the abandoned ‘ghost houses’ in Pich Nil, which are maintained for Lady Mao, the deity who oversees the southern coastal region of Cambodia. 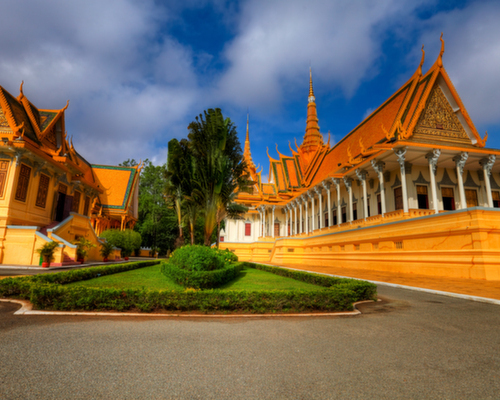 You will arrive back to Phnom Penh in time to catch your international flight home. Bon voyage! This itinerary costs from £1,800 per person B&B based on 2 sharing and including all private transfers but not international flights.